in Creative & Tech with tags #sidehustle, podcasting, theater Both comments and trackbacks are closed. When Ebony Vines was a little girl, she and her sister used to “Mystery Science Theater 3000” old black and white musicals, applying their own hilarious commentary to scenes from Rebecca or Sunset Boulevard that they found particularly uproarious. Despite her early days spent mocking plays, Ebony, now an Executive Assistant at 360i, has been seriously hooked on theater since childhood. In fact, she’s stopped counting how many shows she’s seen. In her words, “once I got past 50 or 60, I was like I can’t, it was just too much to keep track of.” This summer, she launched her very own theater podcast with her friend, and fellow host Pamela. Theater Geeks Anonymous is a weekly podcast that discusses the theater industry’s biggest flops and scandals, and shares the stories behind major show disasters. We met with Ebony recently to learn more about what it’s like to start a podcast, how to properly research a theater scandal and her other podcast obsessions. 360i: So, how exactly did Theater Geeks Anonymous get started? It seems like a very specific concept for a podcast. 360i: Have you always been into theater? 360i: It’s a pretty expensive hobby, though right? 360i: You launched the TGA podcast earlier last month, what challenges have come up during the process? 360i: Were there any other theater podcasts you looked to for guidance? 360i: What’s the production process like? 360i: Do you have any podcasts you’d recommend? 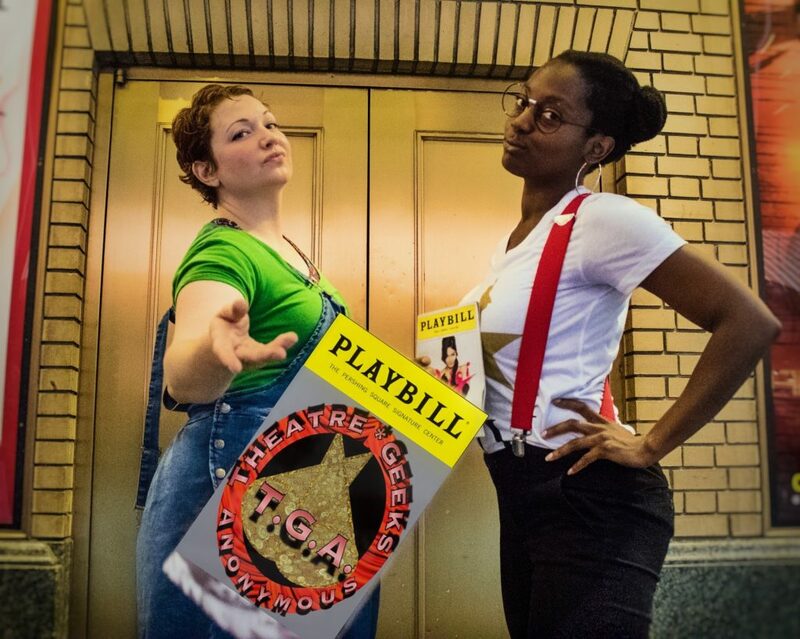 You can listen to Theater Geeks Anonymous on iTunes every week.